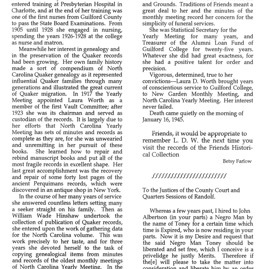 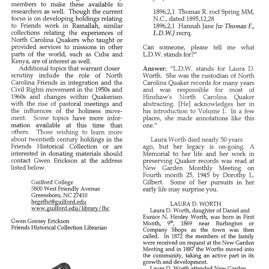 Laura Delphina Worth was a Quaker genealogist who worked at Guilford College. 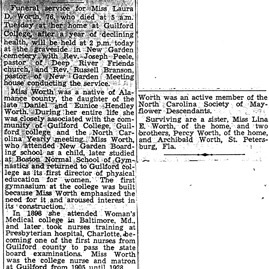 Her grandfather was Hiram Coffin Worth and Laura preserved the letter written by John Worth to Hiram in 1886. 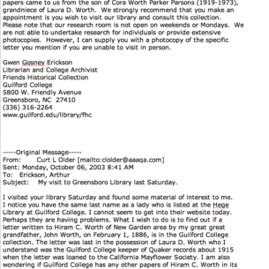 That letter is preserved at Hege Library at Guilford College.